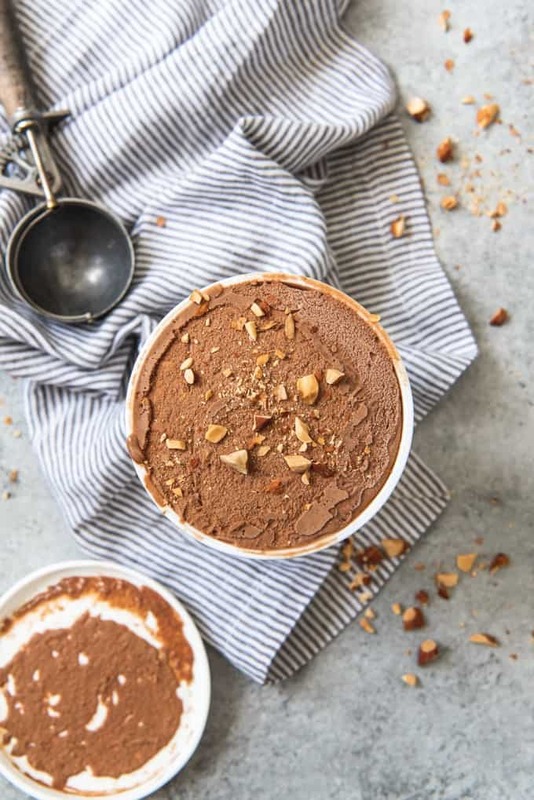 Burnt Almond Fudge Ice Cream is loaded with chunks of crunchy toasted almonds in a rich, creamy chocolate ice cream base. Burnt Almond Ice Cream was actually served at President Lincoln’s second inaugural ball in 1865, so it’s not like this is a new ice cream flavor (and the menu from the fete doesn’t specify a chocolate base so perhaps it was more akin to my toasted almond ice cream?). 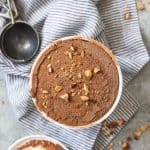 But I wanted to share this recipe for burnt almond fudge ice cream because this is made with my all-time favorite chocolate ice cream base. You may, like me, be wondering why it’s called “burnt” almond rather than “toasted” almond, and honestly, I have no idea! I did a little internet sleuthing to see if I could figure it out, but alas, no answer. So, um, don’t burn your almonds for this ice cream They will be bitter and not super tasty. Just toast them and call it a day. 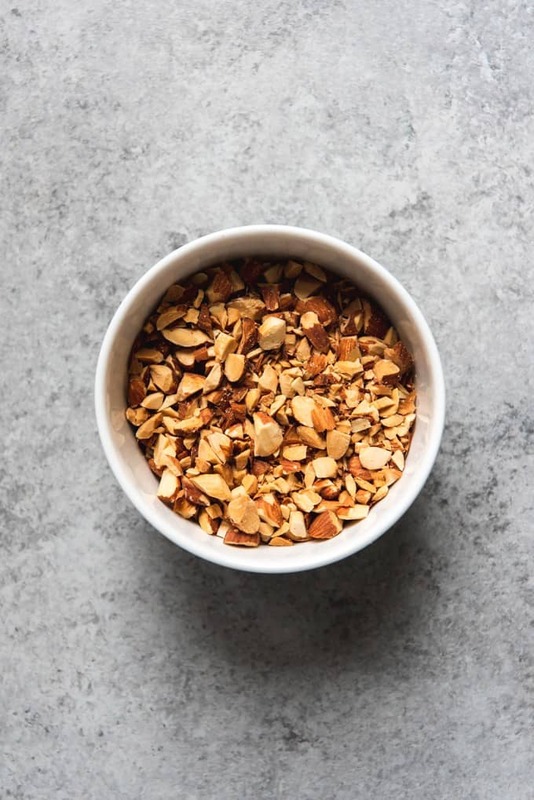 Toast the whole almonds by spreading them out in a single layer on a baking sheet and roasting them in a 350 degrees F oven for 10-15 minutes, just until they begin to smell nutty and darken slightly. Cool the almonds completely before chopping them coarsely with a knife and adding them to the chocolate ice cream base. When it comes to chocolate ice cream, I think Ben & Jerry’s does it better than anyone else. And fortunately, they shared many of their ice cream recipes in a cookbook called Ben & Jerry’s Homemade Ice Cream & Dessert Book (affiliate link). And they actually have THREE different chocolate ice cream base recipes that they use! The one that is my favorite (and that makes up the base of the burnt almond fudge ice cream recipe that I’m sharing below) is called “Jerry’s Ice Cream”. 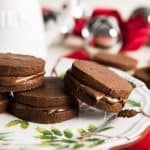 It uses both chopped unsweetened chocolate AND cocoa powder for the chocolate flavor. 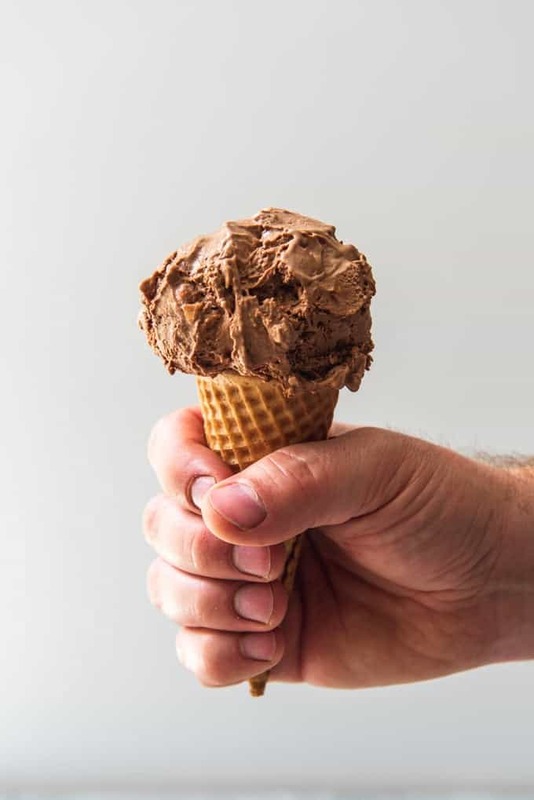 There is also a chocolate version called “Ben’s Ice Cream” that doesn’t use any cocoa powder and calls for less milk, creating an even richer chocolate ice cream. And then there is a lighter chocolate version called, well, Light Chocolate, that’s just not as chocolatey as either of the other two. The Ice Cream Geek did a great breakdown and side-by-side comparison of all three chocolate flavors from the cookbook if you are interested. This custard based chocolate ice cream recipe is a little different from other custard bases I have shared. Rather than just using egg yolks, the recipe calls for two whole eggs. And while the original recipe from Ben & Jerry’s just mixes the ingredients together without cooking the base to create more of a custard, I actually temper the eggs the same way as all my other custard-based ice creams. If you are using pasteurized eggs, you really could skip the tempering step, but I feel like it actually improves the mouthfeel of the ice cream by dissolving the sugar better in the hot liquid. 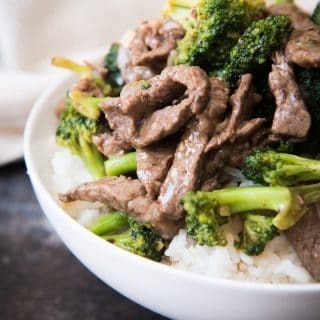 It’s done by whisking them together with some of the sugar called for in the recipe and then slowly adding hot liquid to them to bring their temperature up more gently. Just be sure that after adding the tempered egg mixture to the chocolate base that you strain it through a fine mesh strainer before chilling, just to make sure to remove any egg proteins that cook a little too much so your chocolate ice cream doesn’t have an eggy aftertaste to it. After that it’s just a matter of chilling and churning until the ice cream is frozen! 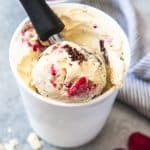 Chopped, toasted almonds get added to the ice cream right at the end of the churning process, and then I definitely recommend freezing this ice cream for 4 hours to “cure” or freeze hard, rather than eating it soft-serve right after churning. Heat the chopped chocolate, cocoa powder, milk, and cream over medium-low heat until the chocolate is melted and the liquid is heated through. Meanwhile, in a large bowl, beat the eggs until they turn light in color. Gradually add the sugar to the eggs while beating on low speed or whisking by hand. When the chocolate mixture is hot, about 140° F, whisk about 1 cup of the hot liquid into the eggs and sugar to temper the eggs. Once the eggs have been tempered, add them back to the hot liquid and continue to heat over medium-low heat until the mixture reaches 175° F.
Remove from heat and allow to cool completely, then chill in the fridge for at least 3 hours. Add the vanilla, then churn the chilled chocolate base in an ice cream maker until frozen, folding in the toasted almonds right at the end. It will take around 20-30 minutes to churn. Transfer to a container and freeze in the freezer for 4 hours to cure for hard ice cream. Toast whole almonds at 350 degrees F by spreading them in a single layer on a baking sheet and baking for 10-15 minutes, just until they begin to smell nutty and darken slightly. Cool completely and coarsely chop the almonds before adding to the ice cream base. Wow these flavors are amazing!! I totally love this for summer!! 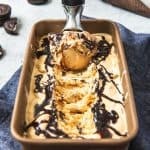 Burnt almond fudge ice cream sounds just perfect!! OMG this is killing me!! I love burnt everything and anything!!! Rushing off to make this one today–can NOT wait! 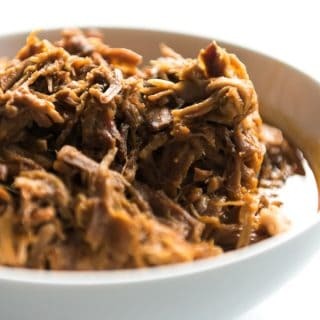 I’m so glad I don’t have to burn my almonds for this recipe! 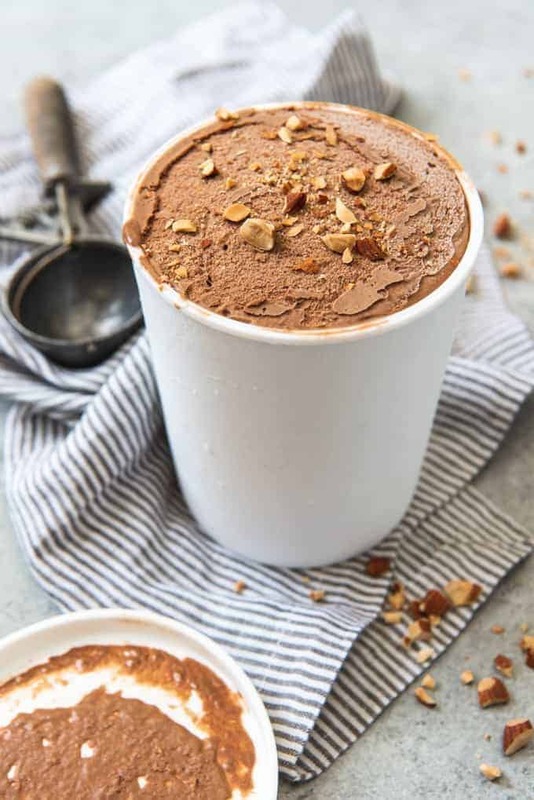 🙂 This looks like such a delicious and indulgent treat – especially seeing I’m celebrating National Ice Cream Month in honor of National Ice Cream Day on Sunday! I am totally craving chocolate ice cream now. I love this blend in particular because those almonds really elevate the recipe for me! Wow….this looks so good. I’ve never heard of that flavor but I love chocolate ice cream and almonds so I think this would be right up my alley! I love the flavors of roasted almonds. Seems like this is something I might like. I would try a vegan version of this.